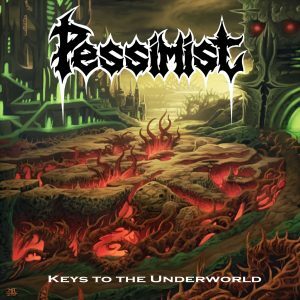 Always one of the unsung heroes of the USDM scene Baltimore, Maryland self-proclaimed dungeon metal stalwarts Pessimist return after a mammoth 16 year hiatus. In that time bandleader Kelly McLauchlin has released an album each with Tampa, Florida second-tiers Unholy Ghost and Diabolic. Suffice to say ‘Keys to the Underworld’ is vastly superior to anything released by both in their brightest of days. This new promo track might not be a return to the glorious days of “Cult Of the Initiated” and “Blood For the Gods” but it showcases what “Slaughtering the Faithful” could have been had it not been marred quite so catastrophically by an unflattering demo-like production and uneven drumming. As a precursor to a proposed album of the same name ‘Keys to the Underworld’ is testament to the imperviousness of the vintage USDM sound. Pessimist will always be Pessimist, irrespective of who is in its ranks or where they are based out of. These days Pessimist is no longer operating out of Baltimore, Maryland. Since around 2003 McLauchlin moved to the Florida region for his work with Unholy Ghost and Diabolic. Around 2013 Pessimist has relocated to Temecula, California where a new line-up was assembled. 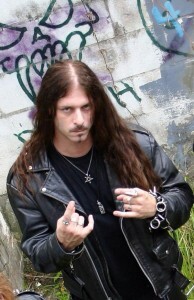 ‘Keys to the Underworld’ is a cut dating back to 2014 when original drummer Chris Pernia was still in the band, but he has since been replaced by former Solstice and Malevolent Creation skinsman Alex Marquez. Sitting in for the recordings of this 1-track promo was prolific session drummer Kevin Talley. Rounding out of the revamped line-up are frontman Ivan Alison (who is somewhat reminiscent of original singer Rob Kline, but less serpentine) and former Death and Monstrosity bass guitarist Kelly Conlon. As McLauchlin is the main creative force behind Pessimist it doesn’t matter who is in the ranks, although it’s apparently impossible for the classic Kline-Pernia-McLauchlin trifecta to remain intact long enough to produce a new album. As unfortunate as that may be that Pessimist is still around in 2018 speaks volumes of McLauchlin’s perseverance and his unwillingness to compromise his vision. Those longing for the days of “Cult Of the Initiated” and “Blood For the Gods” might end up a tad disappointed with ‘Keys to the Underworld’. The track sounds recognizably Pessimist, complete with McLauchlin’s tortured and chaotic soloing, but the track tends to take more after 2002’s “Slaughtering the Faithful”. That in itself isn’t necessarily bad although there’s a point to be made that Pessimist built its fame on the back of its first two albums, sub-classics of American death metal in their own right. Given his set of influences and songwriting approach it’s unbelievable that McLauchlin never ended up in higher profile institutions as Morbid Angel or Vital Remains. “Slaughtering the Faithful” took a lot after Hate Eternal circa “King Of All Kings” and Internecine’s “The Book Of Lambs” whereas “Cult Of the Initiated” and “Blood For the Gods” derived more from Morbid Angel circa “Blessed Are the Sick” and “Covenant”. This solitary new track might not sway fans of the earlier dungeon metal days, but in isolation ‘Keys to the Underworld’ proves that McLauchlin was surrounded by performers of mediocre talent and dubious merit in his association with Unholy Ghost and Diabolic. Evil Kell McLauchlin was never the weak link in any of these constellations. That Diabolic hasn’t released anything substantial since 2010’s alliterative aberration “Excisions Of Exorcisms” shows how irrelevant they have become since the early 2000s. As these things tend to go Pessimist has restyled their iconic logo for their return. The supposedly improved rendition by Mike Billingsley is far from terrible and the worst thing you could say about it is that it was unnecessary. Why was a revamping of the classic Pessimist logo deemed necessary in the first place? Krisiun never changed their logo (and their output has been sketchy the last decade and a half, or so). Malevolent Creation never changed their logo. Morbid Angel never changed their logo (and they have a history of patchy and indefensible records behind them). At least Billingsley's restyled logo (redundancy notwithtstanding) is leagues better than the average Steve Crow or Mike Majewski creation, which truly are interchangeable. On the plus side, the digital artwork by Mark Cooper for Mindrape Art (who worked earlier with Pennsylvania traditional metal revivalists Lady Beast and more recently Baton Rouge, Louisiana death metal horde Voracious Scourge) is positively the best artwork Pessimist has had since the halcyon days of “Cult Of the Initiated” and “Blood For the Gods”. Is ‘Keys to the Underworld’ the grand return for the once-mighty Pessimist? That is contingent on how this track fits into the accompanying album. What is certain is that it heralds the return of a long-dormant and overlooked USDM force. 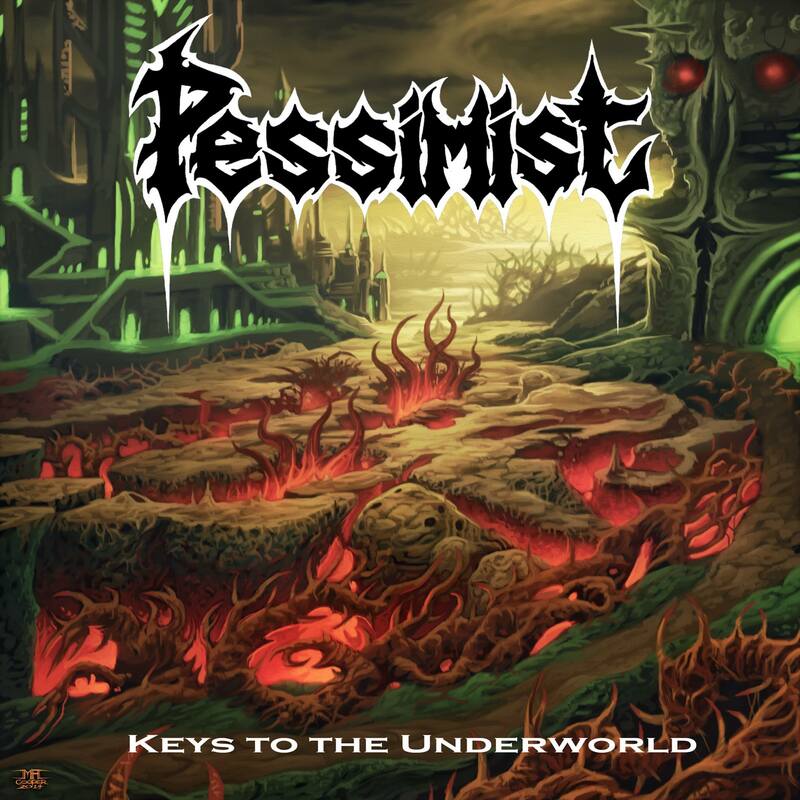 Pessimist might no longer commandeer to same kind of clout as they once did, especially not with Dying Fetus and Aurora Borealis having long since eclipsed them in prominence, but if ‘Keys to the Underworld’ allows them to reclaim even a fraction of their standing then it served its purpose.